No matter what industry you serve, we all have pet peeves within that space. Can you guess what my irritation is with the professional photographers? Drumroll, please . . . those who use headshots from 5, 10, and even 15 and 20 years ago. This time each year, I register for the Texas School of Professional Photography in Addison. Accompanying the catalog’s class options is a bio of each instructor. And, no kidding, at least 75% of the descriptions don a portrait from at least 10 years and/or 20 pounds ago. How-oh-how do they sell portrait sessions when they themselves neglect to update their professional portraits? The only reason I truly care is maybe, just maybe, I might base a small part of my decision on the hotness of the instructor. Actually, that’s a pretty funny statement if you are even slightly aware of my world. Hot male photographers are almost as rare as finding a landmine in your own front yard. Not only does an antique headshot scream unprofessionalism, but why are these instructors not humiliated when their larger-than-life face is projected in front of 1000s of students? Afterall, we are practically sitting side by side during the kick-off and wrap-up sessions. Clearly, these are not the same people; they not only wear a few more wrinkles and usually pounds, but they are also wiser and experienced. After bearing witness to this spurious shrine for so many years, I now just find it comical. I know, I know, it’s really what’s on the inside that counts. However, what are your thoughts when you show up to your new-found Realtor’s office and you swear the person who invites you in must be an imposter? I realize it’s not an easy admission for any of us. And sometimes it’s even difficult to judge your own image. Ask. ask me. Ask a trusted friend. Ask a client. Just ask if you’re not sure. I do. When people compliment the portrait on my business card, I ask if they feel it’s a fair representation. Although I hadn’t received any negative feedback, I decided as I approach the 4-year-mark this spring it was time. Now, if I can just remember every website, social media site and piece of marketing material that bears my face. 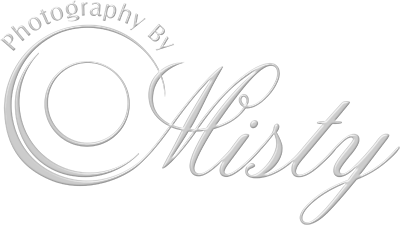 Bottom line is, whether you are a Dallas professional photographer, a Plano-based Realtor or a Frisco solopreneur, your portrait should be as professional (and updated) as the goods and/or services you provide. Deceptive marketing material equates to deceptive business practices. The only person those professionals are fooling is themselves. To update your professional portrait, you can schedule with me at my home studio in Plano the third and fourth Tuesdays of the month, at Marbles Beauty the second Tuesday of the month, or at Plano’s Boardroom the first Tuesday of each month. I also make office calls!! See Image!